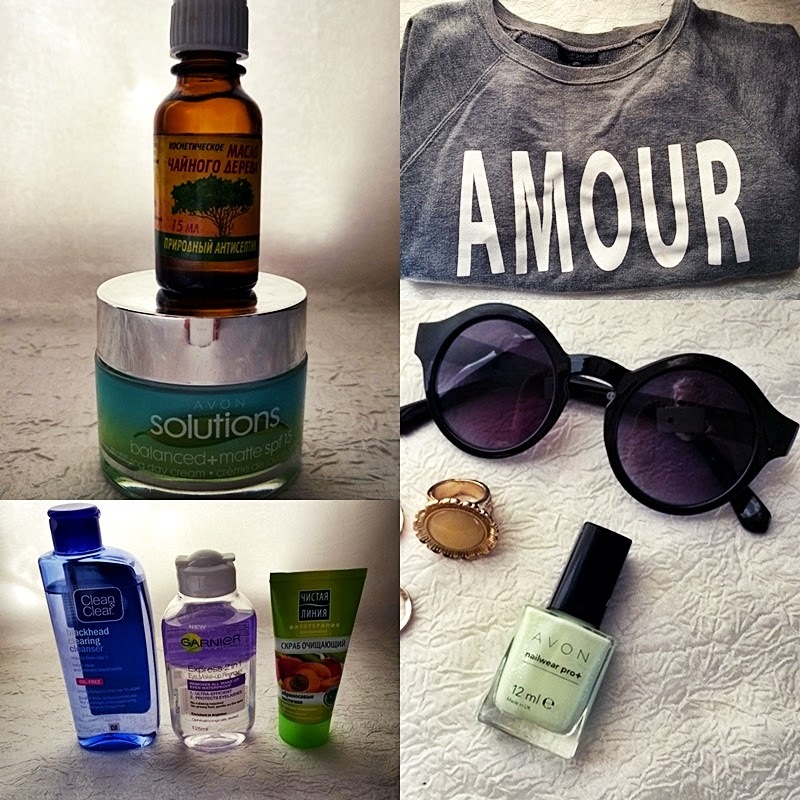 today I decided to show you some of my favorite products in August. day cream from AVON- lovely scent, moisturize very well. sweater- perfect for cold evenings. I wear it when I'm at home. make-up remover- gently remove mascara and eye pencil, I really like the smell and consistence of it. face scrub- just gorgeous product, after I use it, my face was very soft. ring- I wore it almost everyday this month. Love it. light turquoise nail polish from AVON- great shade, matches to almost all of my clothes which I wore. Tea tree oil is my everything! Love the sunnies! Everything looks great! I love those sunglasses.